Are Sleeping Pills The Only Solution To Insomnia? In the past sleeping pills were constantly used as a standard treatment for insomnia. Today, they are recognized as an inappropriate treatment for short term insomnia because of their side effects, thus sleeping pills are not highly recommended unless you are suffering from chronic insomnia. Many people have abused sleeping pills by taking them on a regular basis, becoming dependent on the drug and then experiencing withdrawal symptoms after trying to stop. If you think that you are suffering from insomnia and considering sleeping pills as the solution to this, it is important that you understand what insomnia is and how sleeping pills can affect you. When you have trouble falling asleep or staying asleep regularly, you may have insomnia. You may find yourself waking up during the night or even waking up too early in the morning, making you sleepy, grumpy and unproductive throughout the day. Insomnia is often caused by stress, anxiety, depression, old age, addiction, sleep apnea or menopause. It is a common problem which is usually associated with short term stress that can last for days to weeks, but can last for a month or so. When insomnia turns into a long term problem you may have chronic insomnia which will require extensive medical treatment. Are You Thinking About Using Sleeping Pills? 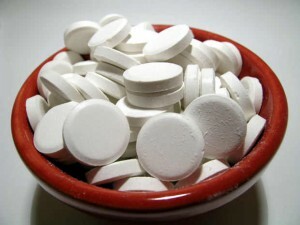 Sleeping pills will work safest as a short term treatment that is incorporated with lifestyle and dietary changes as well as an improvement in the sleeping environment, such as lighting, mattress and pillows. These changes are considered as long term treatment for insomnia which is also beneficial to health. There are many factors that cause insomnia and sometimes it is just a matter of improving your bedroom, such as replacing bright white lights with dim or yellow lights, hanging proper window treatments, eliminating distractions suchas televisions and computers from the room and replacing your old mattress that you have been using for years. Most of the time insomnia is just a short term problem that does not require medication at all. Before you even decide to take sleeping pills, opt to make changes in your lifestyle and environment first. You never know, maybe it is your body just needing a firmer sleeping surface that evenly supports all pressure points. If you are still having trouble sleeping despite the changes, consult a doctor to determine if you have chronic insomnia and if you are healthy enough to take sleeping pills. Valerie Collins is a freelance writer specializing in wellness, health and the benefits of mattresses from Parklane Mattresses. She regularly offers information and advice related to sleeping disorders, health and well-being concerns, how lack of sleep affects people and which mattress store in Portland you must consider buying from.